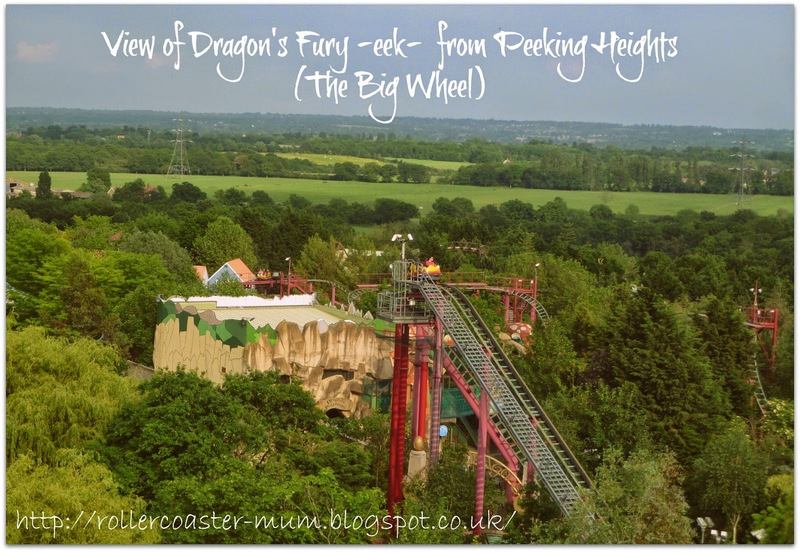 On the last Sunday of half term we headed off to Chessington for two days - we had a fab time but not many opportunities to take photos on those big rides! 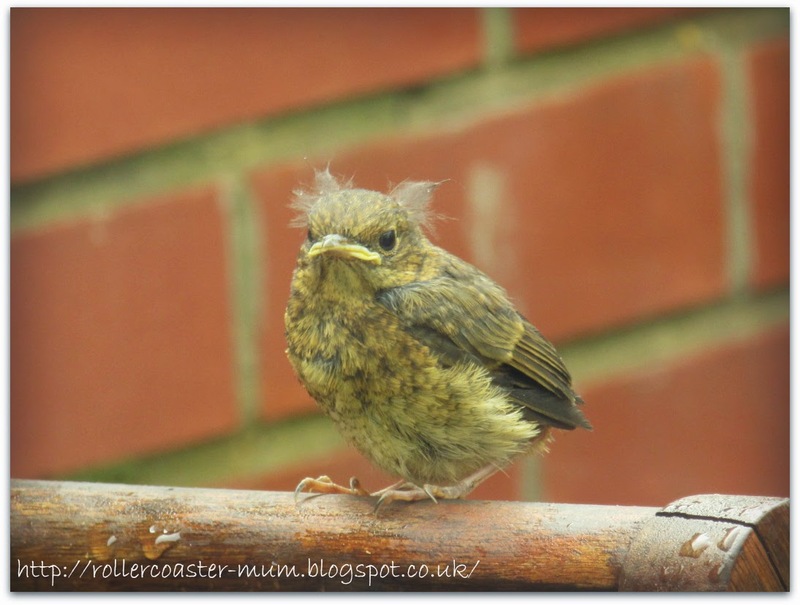 We spotted a baby Blackbird ( I think) outside on the patio one morning. 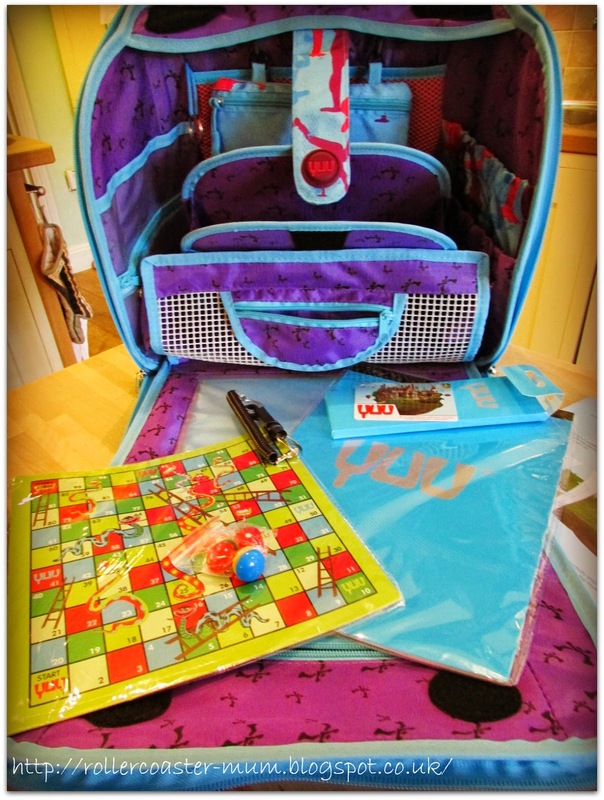 We were very excited to receive a YUU bag to review - we haven't posted yet but the girls love it! A bored Little Miss captured by an equally bored Bigger Miss at our Plant Sale last weekend. 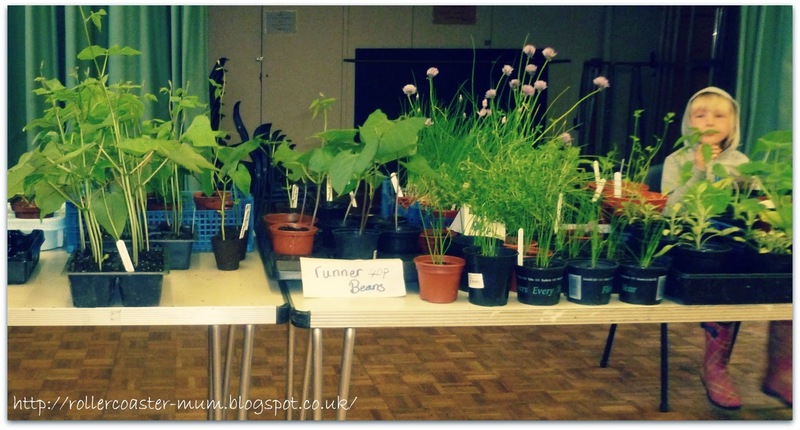 Despite heavy thunderstorms and a bad turnout we did manage to raise some money for our propose allotments. We all enjoyed the BBQ social that followed though and lets just say Sunday was a fairly lazy day! 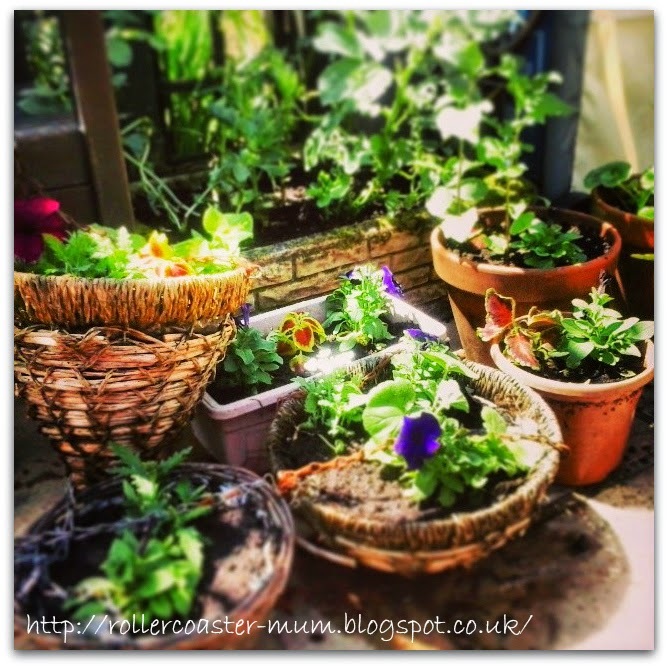 With the flurry of plants and planting at the weekend I thought I really should (belatedly) get some bedding plants and plant up at least a couple of hanging baskets and containers and these were the results. 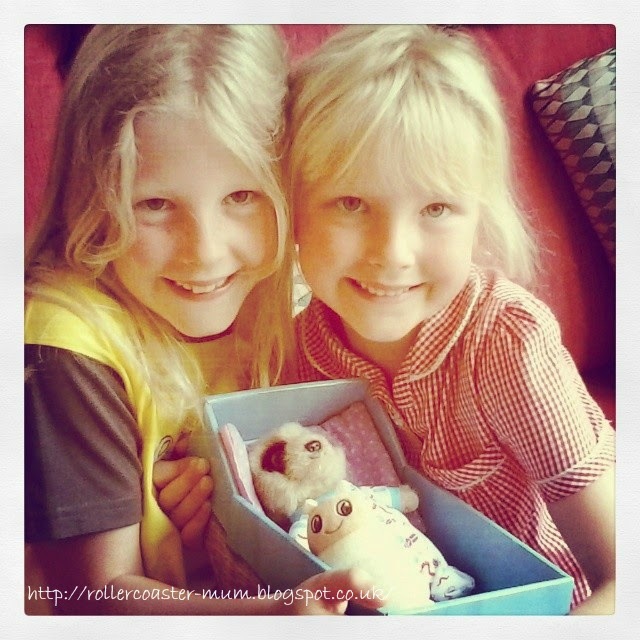 The girls were ridiculously over excited to get a baby Oleg meerkat (courtesy of my boss) - I have even had to make him a blanket!! 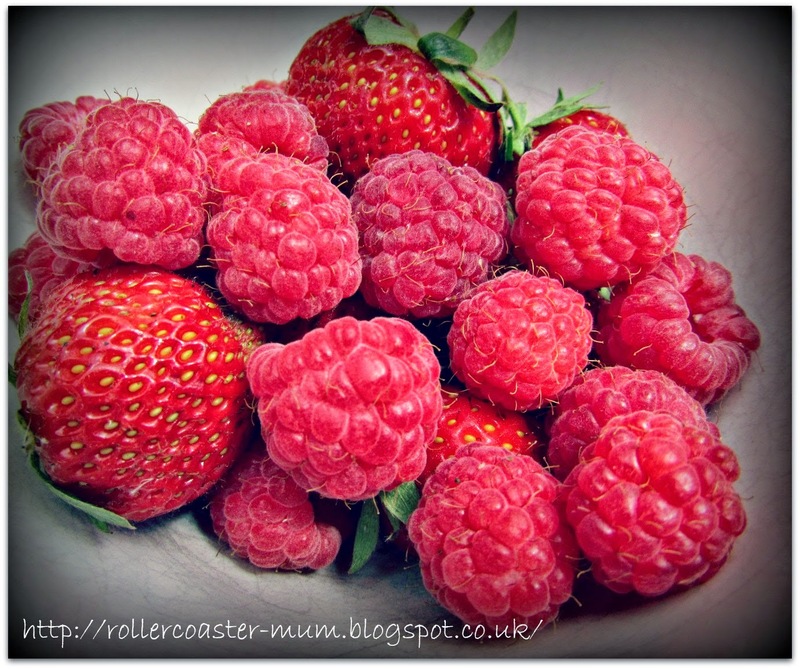 The first harvest of our own strawberries and raspberries this year - yum! Just before we went to Chessington we rescued a bat and it has been nursed back to health by a Bat Carer who brought it back to release it on Friday night. 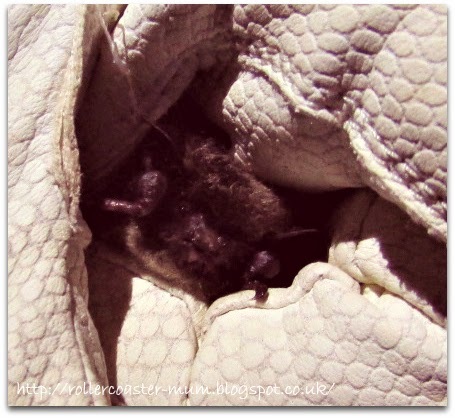 It is a Whiskered Bat and the girls were very excited to be allowed to stay up late to see the release. You can read all about it here. And yesterday was #WorldGinDay - hurrah an excuse for a G & T! 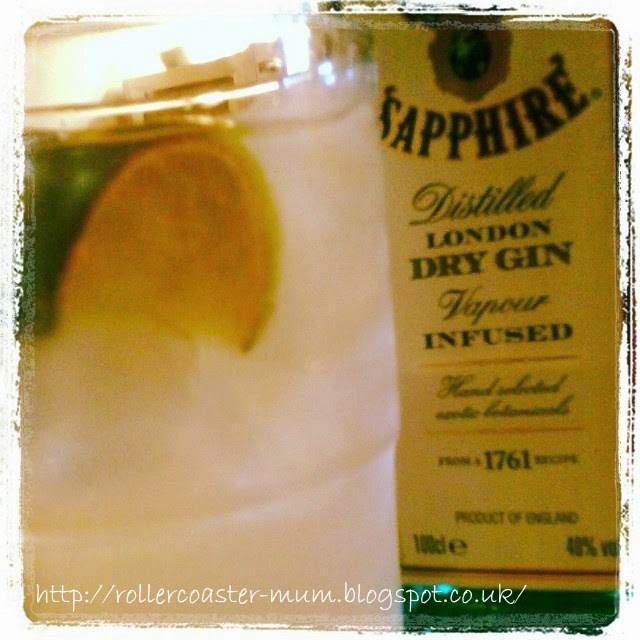 Oh no, I didn't even know it was world gin day - I'll have to make up for it today! That ride looks fun!! Who needs excuses to drink gin :) a great photo of the girls together. Very interesting about the bat.but kind of unnerving too.